Excellent service by good technicians .easy to make appointments and they arrive when scheduled. Good service and feels great to have your home secure against termites!!! Haley came out last week and did extra for us! All while out in the rain... She's a keeper and has a GREAT personality!!! I was too worried, but now so happy and I was relieved. Your service was excellent! Thank you. MAW. I had a hiccup getting our bug appointment scheduled and had bugs that were driving us crazy. In a moment the Manager called me and came out the very next day, friendly as could be - and we've not seen a bug ever since. While he was hear the rain poured and he got soaked but was nice as could be and got the job done. I would highly recommend their services! Adriana from Crabapple. I really appreciate the advance notice phone calls and the thorough service! Thank you! 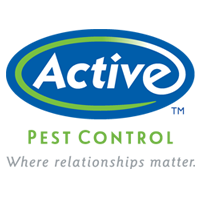 We love Active Pest Control. They are very responsive to any problems which are few. The service people are very polite and respectful of our lawn and our time. Active came out and treated my lawns before my event and helped make my Mom's special day just that! Thank you Active! Great service! Always on time! Very pleased with their services!! I have been with Active Pest Control since 2017. Right from the start they were professional, punctual, and friendly. They didn't try and push their products on me, which is what I like best. Even now they come to my home, let me know they are their do their job and leave. If there are any problems they make me aware of them. Again great customer service! We got off to a rough start but after the last technician visited and was our regular route technician he was excellent is finding our issue with ants and getting resolved. He performed all of the services that he was supposed to do; thank you for meeting our needs. Last year the technician used a fogger and it seemed to work pretty good. This year they must have switched to a pumper. I’ll have to wait and see how well it works. On my first appointment- the tech was running behind schedule due to some other issues out of his control - he kept me informed along the way, and even though it was well after normal business hours when he arrived - he took his time to explain the services he would be performing and how they would help out around the house. I never felt like he was rushing to get through so he could get home - he still delivered on the companies commitment. Looking forward to a long relationship with Active. My service guy is wonderful and so responsive to all my questions. Very informative and explain the process, happy with the results. I'm happy with the service! Always on time. The office calls before service. Extremely polite. Easy date changes. I recommend Active. Isaiah is an excellent tech. Great service, like the added touch of going around outside of house and removing spider webs around windows and doors. So far so good! They've only done one application, out of 8, but I had company the weekend after and no complained about mosquitos. The serviceman is always very kind and helpful. I get an appointment right away when I call. Thank you for your service. He was very polite and friendly ! He very knowledgeable 😊. Great customer service! Dependable and flexible to cater to the customer’s need. Service started just yesterday. Can not tell you much, besides technician was very nice and professional. Applied chemicals, answered all questions we had. Next few days will show how good chemicals are. Will have to give you another review. Easy to work with and did a good job. Always responsive! Great customer service. Very pleased with service. Technician very careful.